Going green isn’t just about saving the planet. When your home is more energy-efficient, you spend less money on utilities while effectively regulating your home’s temperature and energy use. An energy-efficient home can be achieved simply, if you know the right steps to take. A new washer, dryer or dishwasher may sound like a big expense at first, but it could actually save you money in future utility and repair costs – especially if your current appliances are more than a decade old. It may also increase the value of your home, so this is one of the best ways to go green. 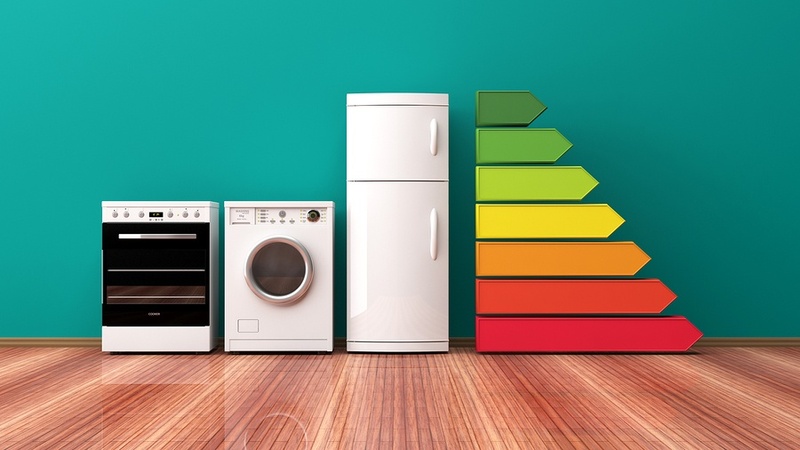 Today’s appliances are more efficient than ever, and many are designed to conserve resources and withstand wear and tear better than their older counterparts. Look for Energy Star stickers and energy-efficient ratings to make sure your new appliance will conserve energy. Traditional blinds and drapes don’t always block out the full heat and light of the sun, which can get very harsh in our desert climate. That’s why we offer both interior and exterior window shades, and motorized options make it even easier to regulate temperatures. Install exterior window shades to create a retractable “wall” of shade on your patio, and replace your indoor window treatments with interior window shades to ease up on your air conditioning use. Blackout fabrics are also available to keep your home dark and cool even on the hottest summer days. Is your utility bill sky-high no matter how much you try to conserve power at home? You may have a leak, gap or crack leaking cool air outside (or letting hot air inside). Your appliances may also be generating heat and using too much electricity. To pinpoint the biggest problem areas in your home, consult an expert who can perform a series of tests and inspections. This should include a blower door test, which uses a large fan to analyze the flow of air through your whole home. Ask your utility company or look up certified energy auditors in your area to schedule your audit, then review the findings to see what improvements you can make. If your auditor finds a gap, work quickly to restore your seal and improve your efficiency. Are you paying too much for air conditioning? Upgrade your indoor and outdoor window shades to achieve a more energy-efficient home. Contact us at 877-260-6110 learn more about our manual and motorized shades today!